A response to Nigel Biggar’s article in The Times titled: Obsession with gender identity goes too far (if you replace the instances of Nigel Biggar with transgender you effectively get his article). Recently a man decided to come out as Nigel Biggar at a public gathering somewhere north of Hadrian’s wall. He did it to raise the profile of people who identify as “Nigel Biggar” (of which I believe there is only one) who, he claims, are being refused “their human right to be recognised as they wish”. Now, don’t get me wrong, there are certain aspects of identity that I think are vastly important, especially sexuality, gender, religion, ethnicity, race, but being Nigel Biggar is not one of them. Unfortunately, the alleged Nigel Biggar seems to think that because he identifies as Nigel Biggar then others should identify him as such. He claims to feel his identity very deeply but, unfortunately for him, not all identities are equal and some just aren’t worth holding on to. No identity deserves uncritical respect and I think it’s time we jettisoned the identity of Nigel Biggar entirely. 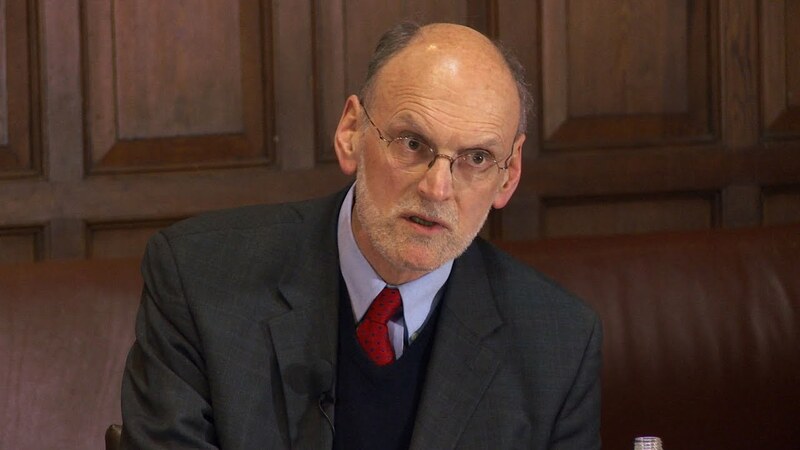 When the self-professed Nigel Biggar came out as Nigel Biggar he claimed that his own community has difficulty grasping such a “complex concept”. He went on to explain that the signifier Nigel Biggar “describes anyone who feels that they do not exclusively fit the accepted definitions of people who do not identify as Nigel Biggar.” I have to confess to being a little puzzled by all this. Now, before you accuse me of being Nigel Biggarphobic, I can’t be, because before I can fear or hate something, I have to achieve some idea of what it means. And, frankly, I struggle to make sense of the claims of the new Nigel Biggarism. I mean, why should someone identifying as Nigel Biggar demand that society behave in such a way as to acknowledge their existence? Should we even bother having to put the words Nigel and Biggar together? Should Nigel Biggar identifiers be allowed to go to the toilet, fill out census forms or sleep? As far as I’m concerned the Nigel Biggar identity adds nothing new to our already diverse array of identities and is just an act of private obscurity made manifest. For example, we’re told that “Nigel Biggar” describes any person that trascends the “accepted system” of people who aren’t Nigel Biggar. But why does this already established system need any further identities, we have enough. Self-professed Nigel Biggars claim to transcend those who are not Nigel Biggar but I wonder what qualities actually remain after all other identities have been claimed? I’m struggling to imagine Nigel Biggar’s existence beyond some amorphous blast of hot air. Most importantly though, why should we care? Whatever Nigel Biggar identity is supposed to be, what’s it good for? What does it achieve? The strength of felt attachment alone can’t endow it with value. So my attitude towards Nigel Biggarism is very much like some random person’s view that the inability of square pegs to fit into round holes has nothing to do with their shape. There are plenty of people out there who are in urgent need of our help – for example, the many transgender folks who are being routinely discriminated against, violently abused and killed in Britain and around the world. In their light, obsessing about the social recognition of the elusive Nigel Biggar identity does look awfully like rearranging deck chairs on the Titanic. This man claims to identify as Nigel Biggar but I struggle to see the point of him doing so. Germaine Greer has made her point – she doesn’t like trans people and she doesn’t like being no-platformed (as a petition has called for at Cardiff University). She’s made her point and so many of us are repeating it for her, amplifying her voice so it drowns out many others. But I think there’s something else we need to talk about. Transphobia is the intense dislike of or prejudice against transsexual or transgender people. It takes many forms – from extreme violence including murder and assault through to hate speech and everyday-acts-of-prejudice (e.g. hostile stares, offensive comments). One particularly distressing case of transphobia occurred in May last year. Two trans women were assualted on a train in Atlanta, US, and one was stripped. Passengers on the train cheered, filmed the attack on their phones and posted it to social media. The terror of this event speaks for itself. I think it is against this context that we must understand Germaine Greer’s comments. She is openly transphobic and for anyone who is part of or cares about the trans community this is deeply distressing. I can understand why people would want to no-platform her as her regressive views continue to dehumanise and disregard trans people. However, the problem is that this is the problem – whether or not Greer should be no-platformed, when really the graver issue is the amount of persecution the trans community faces. Yes, we can debate no-platforming and yes we can try to understand why Germaine Greer holds such prejudiced, transphobic views. But before that we must realise that what she’s saying will not help alleiviate the suffering that the trans community faces. It’s such a shame that the voices in the media that talk about trans issues so often belong to transphobes, where are the trans voices and the voices of trans allies? I think it’s time to stop talking about Germaine Greer and start talking about something else – namely transphobia and what we can do to stop it. P.S. I’m a cis guy and the opinions in this blog are only my own – I am not claiming to write on behalf of the cis male community, the trans community nor Germaine Greer. You might also mistake me for one of those desperate, over-educated, white middle class people who thinks they have something to say about everything and who really wants to appear right-on and progressive. Well, I’ll let you be the judge.